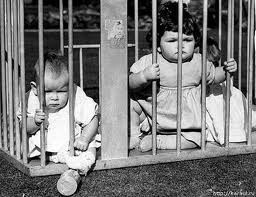 Child abandonment is a theme that speaks to us throughout human history. The Bible informs us that Moses was abandoned and raised to become a Prince in Eygpt. Oedipus was abandoned by his parents, later to become a King and marry his mother. In the fairy tale of Snow White she is abandoned and ordered to be put to death, the servant huntsman entrusted with the deed does not carry out the order and Snow White survives. Psychohistory which attempts to understand the driving forces of history, believes that the parenting practices towards children is a primary determinant of their developmental emotional make up and behaviour. Involuntary memory flashbacks are found in dreams often referencing past memories, and emotions such as fear that can psychologically dominate the individual's daily functioning. The film "Citizen Kane" is based on a series of narrative flashbacks in search of an answer to Kane's enigmatic last dying word of a lonely man..."Rosebud". The butler recalls that Kane had said "Rosebud" when his wife left him. At the end of the film, only the omniscient camera shows the audience, that Rosebud was the name of a sled Kane had as a child, and an allusion to a happier time in his childhood. Kane's is a story of unhappiness and abandonment. The first three dreams below speak of abandonment, the fourth is about loneliness. Further observations about the dreams are found further down the page. I had a dream last night where it was my wedding day. Both my boyfriend and I drove our cars to the church, but didn't see each other. As I was getting ready, my hair and make-up lady didn't show up so I had to go as I was. As I was getting my dress on, I looked outside to see his car was gone. I didn't think anything of it, as it was time to walk down the aisle I noticed he wasn't standing at the end. I waited for like 5 minutes to see if he would show up. Realizing he left, I took off running out of the church. I ended up running though the neighborhood screaming and crying, in peoples backyards and trying to hide. I called him to see where he was and he answered laughing, pretty much making fun that he left me standing there all alone. He just thought it was hilarious, and I continued to freak out and cry. I was in a car and two ex-boyfriends were on the front seats. I was on the back seat with my dog. Suddenly a snake bit me and then it tried to bit my dog I protected her and bit me again. Finally I grabbed the snake by the neck until suffocating it. They drove me to the hospital but they left me alone there. I have a very vivid recollection of recurring dreams of an ex-boyfriend that I have not spoke with in 10 years, we parted ways on bad terms, I had known him since I was 10 years old until our parting when we 21! I am married & very happy but the confusion of still dreaming about him & getting back together is quite frustrating! I will have the same dream of seeing him again for the first time every month or so, we also have a little difficulty trying to understand what had happened but we are always very happy when we are together, we never end up getting married! Then I every so often I have the same vivid recollection of dreams that my husband is leaving me & cheating on me in some way that when I wake up from these dreams I am very confused & very lonely! I have this dream where i'm in my own apartment laying in bed one sunny morning and this cute guy walks in and he talks to me, smiling and laughing at me saying how cute and beautiful i am. then i'm standing up and he takes me in his arms, kissing me and hugging me. I feel warm and happy in his arms and he says he'll never leave me. He's the guy next door. When i wake up from this dream i feel really lonely for the rest of the day. Whether these dreams are also screen memories of earlier feelings and fears of familial (Oedipal) child abandonment in the Freudian sense is uncertain. The first dream speaks of the fear of abandonment, of being left standing at the Church, the second speaks of two ex-boyfriends who physically and emotionally abandon an ex-girlfriend at a hospital. The third dream which is recurring, is one in which a couple happily re-unites after having "parted ways on bad terms". Despite the fact that she is married, this past relationship has not found emotional closure, and still lives on and haunts her, in her dreams. The defense mechanism that seems to be operating in the dream is "undoing". For Freud, undoing what has been done is the psychological foundation for obsessional fixations of memory. I have added a fourth dream above to provide a contrast between the feelings of abandonment and loneliness. Loneliness is often described as one form of psychological pain. We all develop self preservation and defense mechanisms against the fear and emotional pain of loneliness. Dreams provide insight into the psychological continuum from the pathological to the mature defense mechanisms which deal with feelings, fears of psychological trauma such as abandonment and loneliness. In the fourth dream loneliness drives Lynn into the fantasized arms of her neighbor. However, when she wakes up from the dream and sensual imagination of being with an attentive partner, she learns this has all been a mirage and is not real. 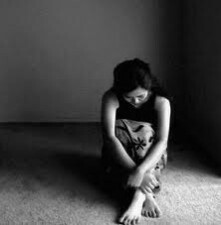 Loneliness sets in for the rest of the day as an emotional after-effect. In terms of defense mechanisms, fantasy is often but not always a defensive flight from an alienating reality. From a medical humanities perspective, James J. Lynch "The Broken Heart: The Medical Consequences of Loneliness" provides a convincing argument and evidence about the consequences of loneliness. For Lynch, loneliness can break the human heart, and one might add that with the broken heart there ususally are broken dreams. From a popular music culture perspective songs such as Elvis Presley's "Are You Lonesome Tonight", Roy Orbison's "Only the Lonely", Green Day's "Boulevard of Broken Dreams" projects the sentiment of loneliness (click on links to watch music videos).